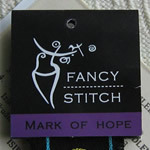 The Mark of Hope. 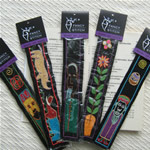 Each bookmark is a hand-embroidered design on fabric, mounted on a black backing board. 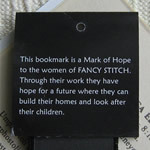 The artist who created the design on the bookmark is acknowledged on the back. The bookmark is 38mm by 190mm in size, packed in a polyprop slip with a printed top.